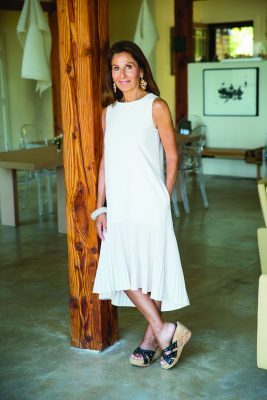 Françoise Theise is the co-founder and president of Adesso, Inc, founded in 1983 to showcase European high end contemporary furniture, lighting, and accessories. Over time, it became Boston’s exclusive distributor of the French line Ligne Roset. Established in France over 150 years ago, The Ligne Roset brand has been loyal to innovative European designers who help clients create livable contemporary environments. What inspired you as a child to start your own business? Growing up in Paris as the youngest of five children, I was always quite independent. Traveling around Europe a great deal, I was exposed to great contemporary design. After moving to Boston in the 70s, it became clear that contemporary design was not accessible to the retail consumer as it was in most European countries. Early on I really wanted to open a children’s furniture store, but various circumstances brought me to create relationships with several European manufacturers, and particularly with the Roset brand. This relationship continues today. When Adesso started, our family joke was if it fails at least we would furnish our house. Since Adesso was a success, our home was the last place to be furnished! Location was always important for my business. After starting on Newbury Street then the Chestnut Hill Mall, in 1987 the Four Seasons hotel needed a showcase tenant. Our relationship with the hotel in the heart of Boston made our products accessible to the consumer and we never left. If you could give advice to other women hoping to start a business, what would it be? First and foremost, we are not women who hope to start a business, we are entrepreneurs who want to start a business owned by a woman. I would tell them that creating relationships has been one of the most major assets of my business: relationships with my vendors, my landlords, my clients, and especially with my staff. I have always been supported by strong, independent women, never afraid to take responsibilities. My daughter is now helping me in the store. I would encourage anyone to have passion for the product they sell. I am still, after so many years, truly excited and moved when I see our products in someone’s home. I adore welcoming new and continuing clients (many of whom have been customers for 30 years or more) as their environment changes from large homes to condos, and I am thrilled when they introduce their adult children to the brand. Unequivocally, my mother. She was a smart, elegant, and independent woman. She ran a boys’ boarding school with ease. She was never afraid. Our family environment was simple, not fussy, and always elegant. I inherited my sense of style from her. No, I did not. Circumstances and experience helped me create my business. Once again, the relationships I developed over 35 years are what held my hand along the way.